Scientists at the University of Washington have developed a gene therapy that prevents the process through which axons (nerve fibres) destroy themselves, in mice. The innovative gene therapy may lead to new treatments for peripheral neuropathy which is associated with a number of neurodegenerative conditions, such as Parkinson's disease and amyotrophic lateral sclerosis (ALS). In essence, the scientist looked into ways to prevent the process through which axons – the nerve fibres responsible for transmitting information to different neurons, muscles, and glands – self-destruct. The harmful process, which is triggered by the protein SARM1, activates when an axon is injured. 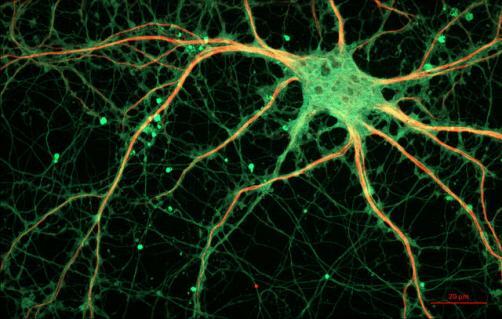 Thus in seeking to prevent the triggering of the self-destruction process, the scientists used a virus to deliver a mutated version of the SARM1 protein that blocks axon destruction, into the cells. The researchers were thus able to prevent the process from triggering, which is responsible for peripheral neuropathy, a disease that affects an estimated 20 million people in the United States alone. Peripheral neuropathy can result from chemotherapy for cancer treatment or poorly controlled diabetes, and it causes persistent pain, numbness, burning, itching and muscle weakness.